With so many live shows, attractions, and museums, as well as a stunning landscape that’s perfect for the scores of outdoor activities found here, Branson is a premiere destination for festivals and multi-day events. Our multi-award-winning theme park, Silver Dollar City, builds its entire calendar around phenomenal, themed festivals. Six festivals are spread throughout the year, kicking off with the all new Festival of Wonder in April. Get a front row seat for the many fantastical acts of curiosity and larger-than-life performances that will grace Silver Dollar City’s grand stages this Spring! 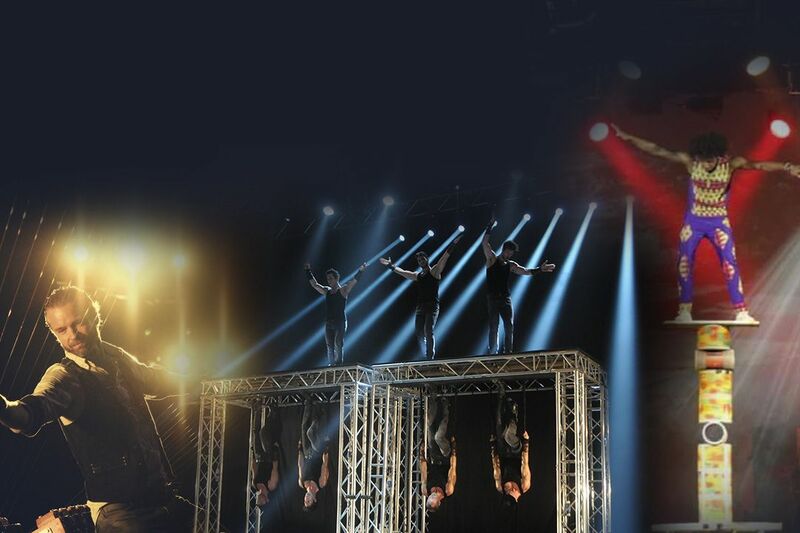 It’s A Most Amazing Entertainment Experience…from the world’s longest playable stringed instrument stretching the length of Red Gold to the spectacular footwork and acrobatic artistry of the seven Flamenco Kings and many more, every show is guaranteed to be a wow. Even your taste buds will be amazed with new and innovative flavors and incredible eats during this All-NEW Festival! Also new for 2017, Silver Dollar City is introducing 200 new menu items as part of the Year of Foods & Crafts, throughout the year. From donut burgers, to barbecue sundaes, to a dizzying variety of funnel cakes & cinnamon rolls, and chocolate covered bacon. It’s a good thing that the park has hills to work up an appetite and then work off the calories. Next up, is the festival as delightful for the ears as it is delicious for the tummy… Make sure you come hungry for the Bluegrass & BBQ Festival, from early through late May, because the park is brimming with barbecue and side dishes representing the nation’s most popular flavors. And all that is accompanied by music from one of America’s favorite genres, coming from artists as elite as the Queen of Bluegrass herself, Rhonda Vincent! 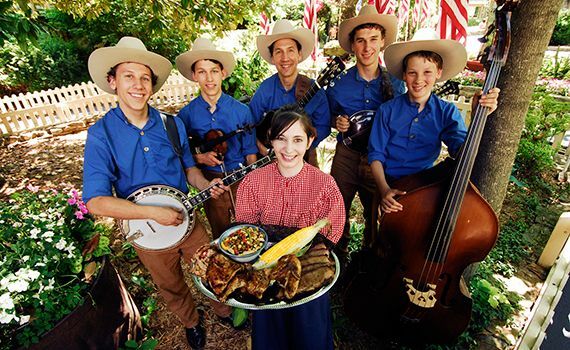 Warmer weather at Silver Dollar City, June and July, brings out the Star-Spangled Summer Festival! Discover exciting shows, thrilling rides and attractions, including the heart-pounding joy of the Outlaw Run roller coaster, named the 2013 Best New Ride in the World! The late and lazy days of summer, that last week of August, is the perfect setting for a Southern Gospel Picnic. Enjoy great gospel music, and savor some the best southern cooking you’ll find anywhere…a tasty and inspiring feast for the soul! Country Music weekend returns in September, 8th to the 10th, with an opportunity to catch legendary country music stars live in the Echo Hollow Amphitheater. When the weather begins to gently cool and the leaves begin to turn, the heavily treed landscape of Silver Dollar City sets the scene for the National Harvest & Cowboy Festival. Mid-September through late October hosts more than 125 American artists and craftsmen for a real celebration that illustrates why Silver Dollar City is called the Home of American Craftsmanship. As for the cowboys, you’ll see a real Wild West show with trick riders and ropers, Native American dancers, western musicians, cowboy poets, a western barn dance, and chuck wagon demonstrations. 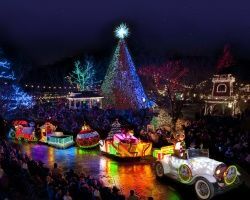 The year is wrapped up with dazzling delight as An Old Time Christmas transforms Silver Dollar City into a glowing Christmas extravaganza with over four million sparkling lights throughout the park. The park’s visual centerpiece is a five-story special effects Christmas tree in the town square. A spectacular light show set to music, the Christmas tree is a unique experience all on its own when it suddenly comes to life with the Carol of the Bells, Joy to the World, and other holiday favorites, accompanied by a synchronized light show up and down the tree and all around the square! A little elf told us that 2017’s Old Time Christmas will be even brighter than 2016. While Silver Dollar City may be Branson’s festival showcase, it’s not Branson only festival location. Spring is welcomed with the community-wide Ozark Mountain Shindig Festival during April and May. Created to celebrate the sensational live music shows, the variety of other live entertainment, and the many attractions and museums for which Branson is famous, the Shindig features special events like Jammin’ at Area 57, where local entertainers and others with musical talent gather to do exactly that, jam! Everyone is welcome to enjoy the free music! You can also join thousands of others when Highway 76, the famous “Strip” is transformed into the world’s longest line dance as everyone does the Shindig Shuffle. 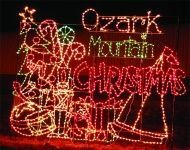 All of Branson celebrates the Christmas season with the Ozark Mountain Christmas Lights & Village and the Branson Area Festival of Lights. The holiday celebration even begins a little early to accommodate the thousands of guests who love to experience Christmas in Branson’s still charming, somewhat small town, atmosphere and the prevalence of live shows that produce special holiday performances. Although the season is visibly celebrated with glitzy lights and glamorous shows, it’s the authentic reverence for the true meaning of this holiest of holidays that keep guests coming back time and again during November and December. All year long, Branson celebrates our nation’s heroes, our active duty military and our beloved veterans. 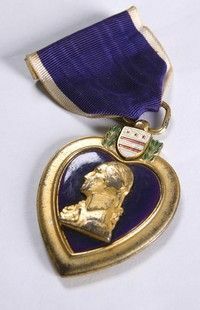 In April, Branson.com and Branson Tourism Center honor recipients of the Purple Heart with a three day celebration that includes organized activities, a hosted hospitality room, guest speakers, private counseling services, and more. The event is provided at no charge to those who served and sacrificed for their country. In November of each year, a Veterans Week celebration is held, easily one of the nation’s largest, during which multiple events take place, including a phenomenal Veterans parade through the streets of Historic Downtown Branson. Although many special national holidays are recognized and area events are held to honor our nation’s veterans, Branson pays tribute to our military heroes each and every day of the year. 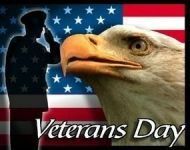 We celebrate and salute both veterans and active duty personnel at every opportunity, regardless of where, how, and with what branch of the military they served. We honor veterans who have sacrificed their time, their health, the big events in the lives of their loved ones, and more often than we care to think, even their lives to protect the freedoms we all hold near and dear. Branson never takes these freedoms for granted and never shies away from expressing heartfelt feelings of appreciation and sincere patriotism. 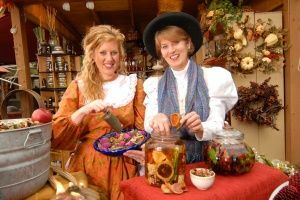 Without wandering far, you can find festivals and celebrations in Branson’s neighboring communities like Hollister, a small English village inspired city that holds a popular Grape Festival each year. Enjoy great food and music, and even a good old-fashion grape stomp! As you can see, festival fanatics can certainly get their fill of festivities all year long in Branson, Missouri!